In Figure 1, you'll notice light blue confidence bars (Wilson binomial tests at a 95% confidence interval.) 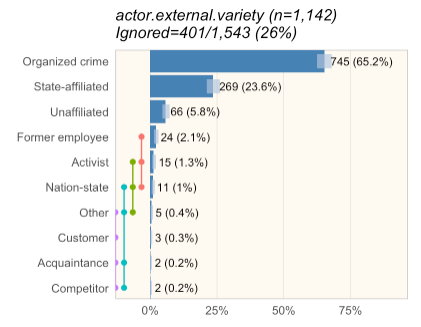 If you look at 'Former employee', 'Activist', and 'Nation-state', you can see they overlap a bit. 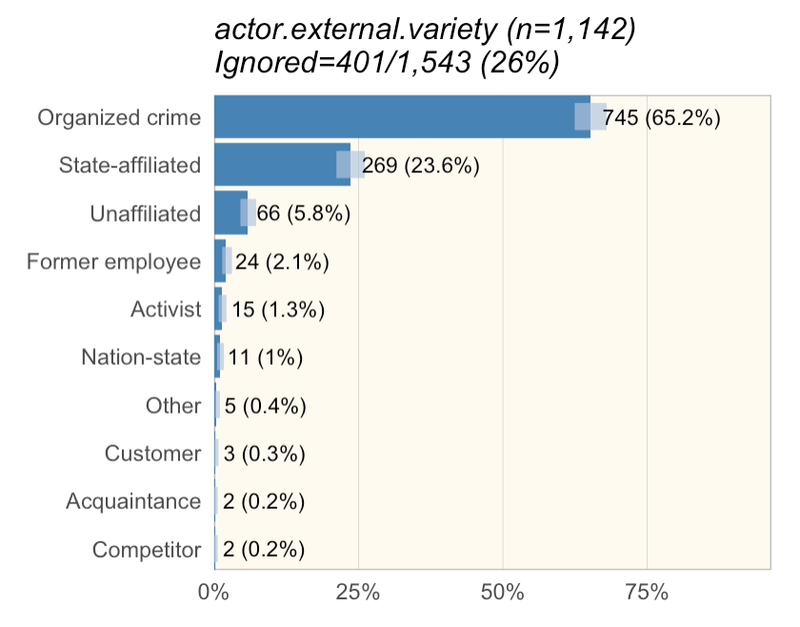 What I wanted to do was visualize Turkey groups (similar to multicomp::plot.cld) to make it easy for myself and the other analysts to tell if we could say something like "Former employee was more common than Activist" (implying the difference is statistically significant). While it didn't work, it turns out, I was fairly close. I just didn't know it. There approaches that didn't involve actually building a stat layer that probably would have worked, however they were all effectively 'hacks' for what a stack layer would have done. The problem with simply drawing on the layer was that the labels for the bars would not be adjusted. The problem with using a stat (other than it not currently working) was I was effectively drawing a discrete value (band #) onto a continuous axis (the bar height) on the other side of the axis line. With that, I had a working stat. Copy compute_layer() from the stat prototype into stat_ind(). Copy over internal ggplot2 functions that are needed by the default compute_layer() function. Hook it for debug. Look at the data coming in without the ylimit set. This time 'y' data exists. So, what happened is, when `limits=c(0, yexp)` was applied, the 'y' data was replaced with 'NA' because the large integer values of 'y' was not within the 0-1 limits. `compute_layer()` was then called, which called `remove_missing()` which removes all the rows with `NA`. This caused the removed rows. With that it finally started working! Ultimately, I really stumbled through this. Given how many new ggplot2 geoms are always popping up, I expected this to be much more straight-forward. I expected to find multiple tutorials but really came up short. There was a lot of reading ggplot2 source code. There was a lot of trial and error. In the end though, the code isn't complicated. Much of the documentation however is within the code, or the code itself. Still, I'm hoping that the first is the roughest, and the next layer I create will come more smoothly. Several years ago, I blogged about Balkanizing the Internet. More than ever it appears that a digital feudalism is emerging. A driver that I didn't necessarily consider is the automation of security. The future of security is speed and persuasiveness. Whoever accomplishes the OODA loop (or additive factors if you like) first has an incredible advantage. In information security, that means automation and machine learning making contextual decisions faster than humans ever could. It will be defense's algorithms against offense's. The second part is probably more interesting. Machine learning is output generated from input. In essence, humans are a much less predictable version of the same. As such, any actor or algorithm, offensive or defensive, that can figure out what input to the opposing side produces the outcome they want, and provide that input before losing will win. Because it needs to happen at speed, it's also likely to be algorithmic. We already train adversarial models to do this. The need for speed and persuasiveness driving automation and artificial intelligence in information security is it's own blog. I touch on it here because, in reality, it only describes the infosec 1%'ers. While a Google or Microsoft may be able to guard their interests with robust automation and machine learning, the local app developer, law office, or grocery store will not. Which brings us to the recent malware. It should be a wake-up call to all information security professionals. It utilizes no new knowledge, but it provides a datapoint in the trend of automation. 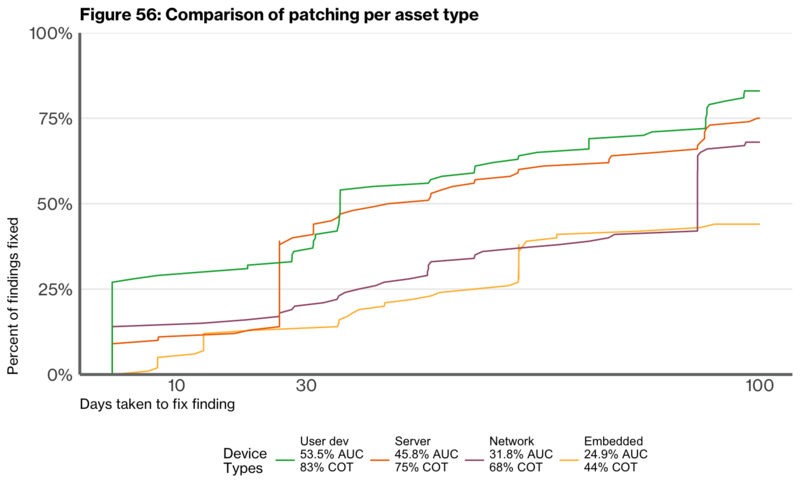 While the 1%, or even 50% defender might not be affected, the publicly known level of automation in infosec attack is easily ahead of a large portion of the internet and appears to be growing faster than defensive automation due to adherence to engineering practices for system management. Imagine malware automating the analysis process in bloodhound. Imagine an attack graph, knowledgeable about how to turn emails/credentials/vulnerabilities into attacks/malware, and malware/attacks into email/credentials, was built into a piece of malware, causing it to spread, unhindered as it creeps across the trust relationships that connect everyone on the planet. This could easily be implemented as a plugin for a tool such as armitage. This is brings us back to the Balkanization of the Internet. In the near future, the only way to defend systems may be to cede control, regardless of the obligations, to the infosec 1%ers'. The only people protected will be those who allow automated systems to guard, modify, and manage their systems. Your choice may be to allow google to monitor all traffic on your internal network to allow their models to defend it, or quickly fall victim to roving automated threats. The internet will have devolved into roaming threats, only kept at bay by feudal lords able to oppose them. Yesterday at the Nashville Analytics Summit I had the pleasure of demonstrating the strengths, weaknesses, similarities, and differences between Microsoft PowerBI, Tableau, and R.
Last year when I spoke at the summit, I provided a rather in-depth review of of the DBIR data workflow. One thing I noticed is the talk was further along in the data science process from most attendees who were still working in Tableau or even trying to decide what tool to use for their organization. This year I decided to try and address that gap. The dataset was about 100,000 rows and 50 or so columns (about half medications given) related to medical stays involving diabetes. The features were primarily factors of various sorts with a continuous feature for time in the hospital (the main variable of interest). I'll skip most of the findings from the data as that wasn't really the point. Instead I'll focus on the tools. At a basic level, all three tools can create bar charts very quickly including color and alpha. Tableau and PowerBI were very similar so I'll start there. PowerBI is a bit more web-based. It was easy to move from local to cloud and back. PowerBI has more robust integration with other MS tools and will be familiar to excel users (though the formulas have some differences compared to excel as they are written in DAX). PowerBI keeps a history of actions that allow you to go backwards and see how you got where you are. To share a dashboard in PowerBI you simply share a link to it. Finally, PowerBI is pretty easy to use for free until you need to share dashboards. Tableau Is more desktop application based. 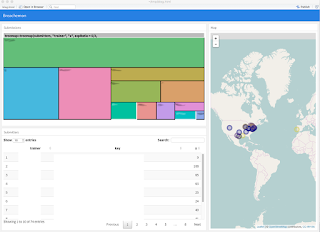 You can publish dashboards to a server if you have the enterprise version or you can install the Tableau viewer app (however that still requires the receiver install software). Also, sharing the actual workbook basically removes any security associated with your data. Tableau dashboards can also be exported as PDFs but it is not the primary approach. Tableau allows good organization of data within the GUI to help facilitate building the dashboard. Tableau lacks the history though so there is no good way of telling how you did what you did. While PowerBI and Tableau are driven by the mouse and interact with a GUI, R is driven from the keyboard and interacts with a command-line. 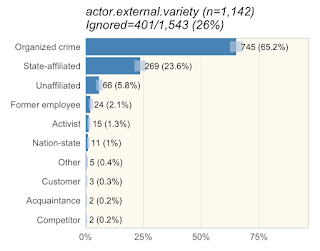 In PowerBI or Tableau, initial investigation basically involves throwing features on the x and y axis and looking at the result. Both provide the ability to look at the data table behind the dashboard but it's not really part of the workflow. In R, you normally start at the data with something like `dplyr::glimpse()`, `summary()`, or `str()` which give you some summary statistics about the actual data. R dashboards allow interaction, but it is again, more laborious. R can install packages. As far as we could tell, Tableau and PowerBI do not. That means someone can add Joy plots to R on a whim. In R, making the initial image is harder. It's at least data plus an aesthetic plus a geom. To get it to match the basic figure in PowerBI and Tableau is a lot harder, potentially adding theme information, possibly additional geoms for labeling columns, etc. However, the amount of work to improve a figure in R scales linearly. After you have matching figures across all three tools, if you wanted to, say, put a plot of points in the background with a lower opacity, that's a single line similar to `geom_jitter(alpha=0.01) + `. Thats about the same amount of work as to make any other change. In Tableau or PowerBI, it would be hours of messing with things to make such simple additions or modifications (if it's possible at all). This is due to R's use of the Grammar of Graphics for figure generation. The most important takeaway is that R is appropriate if you verbalize what you want to do, Tableau/PowerBI are appropriate if you can visualize the final outcome but don't know how to get there. For example "I want to select subjects over 30, group them by gender, and calculate average age." That can quickly be translated to R/dplyr verbs and implemented. Regardless of how many things you want to do, if you can verbalize them, you can probably do them. If you can visualize your final figure, you can drag and drop parts until you get to something close to what you want to do. It's trial and error, but it's quick and easy. On the other hand, it only works for fairly straight-forward outcomes. PowerBI and Tableau are useful to quickly explore data. R is useful if you want to dig deeper. Anything you can do in PowerBI and Tableau, you can do in R. It's just going to be a lot harder. It requires a bit of setup. If you learn the easy stuff in PowerBI or Tableau, but try to do the hard stuff in R, it'll be even harder because you don't know how to do the basics in R.
Then, after the fact, you can go back through and teach yourself how the code actually did whatever hard thing you had it do. For myself using R, each row is inherently an observation. As such as I only group explicitly and first create visualizations that are scatter plots, density plots, etc given my categorical variables by a single continuous variable. On the other hand, Tableau and PowerBI make it very simple to link multiple tables and use all columns across all tables in a single figure. In R, if you want to combine two data frames, you have to manually join them. This was a very good experience. It was not a competition but an opportunity to see and discuss how the tools differed. It was a lot of fun (though in some ways felt like a CTF, sitting in the vendor area doing the analysis. Being under some pressure as you don't want to embarrass your tool (and by extension its other users). I really wish I'd included Kibana or Splunk as I think they would have been different enough from PowerBI/Tableau or R to provide a unique perspective. Ultimately I'm hoping it's something that I or the conference can do again as it was a great learning opportunity!